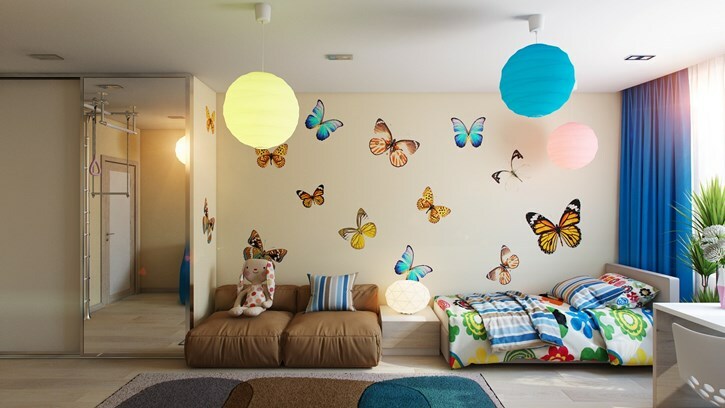 No young girl can resist a dreamy, pretty room that is full of butterflies! And the best part is that it is not even tough to create this room theme. All you need is a bit of imagination and creativity as you use art and craft for your girl child’s room décor. Start with asking your child what she wants in her room, so that she feels that the room has been made according to her own wishes, depending on her age you could even let her do some painting and sewing herself. To girls, colors can be extremely important. Talk to her about the shades that she would prefer having in her room. She could choose form anything starting form soft pastels to loud bright colors. Just work on the ideas given by her and use here colors the best possible way for crafts and decorating. You might like to paint the wall in sky blue color first and then paint the butterflies on them, for the more natural look. Another great option is to use stencils for drawing the butterflies onto the walls accurately. You can either use them merely for the outlines, or you can draw entire butterflies using the stencils. Once you are done with the drawing you can ask your child to suggest the shades. You also have the option of getting wallpapers either for the entire room or just a section of it, with the butterfly print. In case you are considering getting wallpaper make sure you have somebody to accompany you on your shopping trip, since selecting wallpapers can often get very confusing. Do not miss out the carpet of the room, since they are vital for completing the look. You can either dress the room floor in the color of the garden grass, or you can get them in soft feminine shades of rosy pink. Since little gals are known to be less hard on their carpets, selecting lighter colors may not necessarily be a bad choice. As you go selecting butterfly furniture, you need to understand that ultimately it is all about your price range and taste. Though for a girls room, there is nothing like a set of classic white shaded furniture, your child may like pastels better. For a butterfly themed room, dainty pieces, underscoring the beauty and the fragility of butterflies is a great idea. Though most girls love canopy beds, you can also select metal beds with a butterfly shaped foot and headboard. Replace all the furniture knobs and handles with butterfly shaped ones. You can get these form large stores, selling accessories for kid’s bedroom themes. 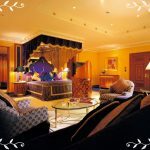 Other stuff to watch out for in the room are the curtains, pillow covers, bed sheets, waste paper baskets, chairs etc, that could be talking about your theme. They could be printed with butterflies, or resemble flowers, etc. Just look around and try to use as much imagination as you can and decorate the room in the best possible way. There is no better way to make your child smile!